Quick update from the last few days. We are still in Fort Lauderdale at The Bahia Mar Yachting Center until Monday March 19. 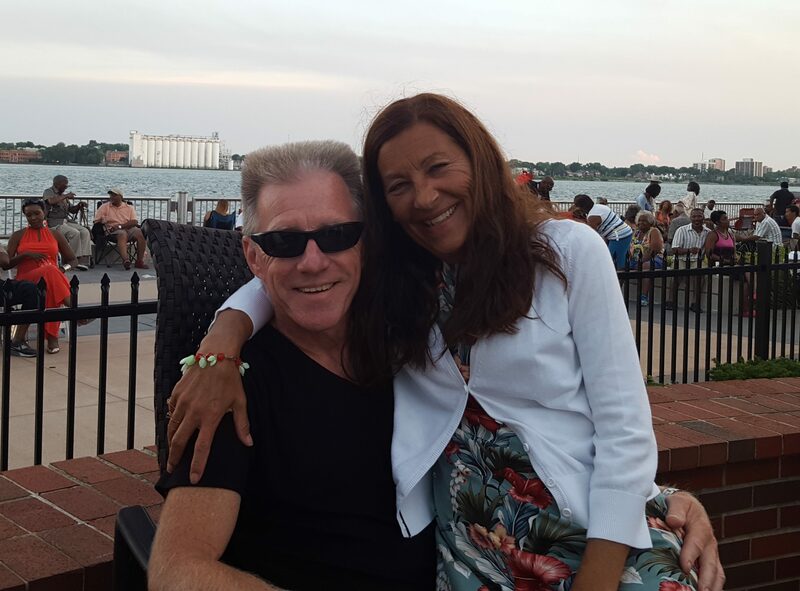 My pal of 40 years Dave Vrabel and 1st mate Carol will arrive on Friday for a long weekend, so I wanted to post an update for the last few days of the happenings with just Nellie & me. We got a lot of work task done during the morning. I made some upcoming marina reservations, buffed out and waxed the dull upper stern, and fixed a burnt starboard running light bulb. Jonell did some laundry. About mid-day we started the fun. We began the afternoon with an uber trip to the downtown riverwalk area of Fort Lauderdale. First stop was a guided tour of The Stranahan House, the first home ever built in Fort Lauderdale. The Stranahan House is the home of Fort Lauderdale pioneers Frank and Ivy Stranahan. Built in 1901 as a trading post and converted into a residence for the Stranahans in 1906, the house is the oldest surviving structure in Broward County. Next stop was a more enjoyable walk of the riverfront, taking time to sit on the park benches, watching the boats pass by & go under the drawbridge. Toward the end of the riverwalk, we found a wonderful Irish place called The Briny Riverfront Irish Bar. We may have to visit this place again this weekend when Dave & Carol arrive (St Patties Day Saturday) . After lunch at Briny’s, we took a free water taxi about a half mile to get closer to the restaurant row section of downtown Fort Lauderdale. We walked the downtown a bit, scoped out potential places for the weekend, and took an uber back to the boat. The downtown is beautiful, and has a bonus of no college kids ! After chillin for a while at the boat (that means takin a short nap), we hung out a the beach for a while, then walked to dinner at a place called Coconuts, a chill/beachy hangout on the Intracoastal waterway. Jonell & I split; Mahi Tacos, a Lobster Club sandwich, and some deviled eggs. It was yummie food with excellent views of the marina, ICW, and sunset. Thursday was a pretty low-key day. We went to the Rooftop Pool at Bahia Mar. The Rooftop Pool also has a full bar & sandwiches. There is also a large indoor excercise room on the rooftop, just to the right of the outdoor pool. In the early afternoon & evening, we had dinner with Jonell’s cousin Cynthia Silorey. You may recall from the last post that Cindy lives in nearby Hollywood, and also visited with us last week in Hollywood. Cindy took us to a place called Anthony’s Runway 84. It is a restaurant set up as if you were a passenger on the inside of an airplane. On Thursdays they feature $6 Martinis, free meatballs, free bread plates, and free muscles. We enjoyed all of the above & Jonell had some VERY LARGE Jumbo Shrimp and I had a hugh piece of Veal. All the food was great. The service from Maître D-Venchenzo & Waiter-Scott was excellent. The place had a nice outdoor patio, a wall of fame with photos of many famous people who had visited, a large dining room, and a medium sized bar with dinner booths. Anthony’s is also supposed to be a Thursday night hangout for over 50’s singles trying to find a 1st mate. Next post will include a visit from my pal Dave Vrabel & Admiral Carol Perotta. We will still be in Fort Lauderdale over the weekend, and move to Boca Raton on Monday. As I said once before, life in Michigan when you return will be so boring for the two of you. Looks like fun.